This may be an herb that is associated more with winter cuisine because it is so frequently used in soups, stews, and braises which are typical of cool weather cooking. Once you have used the fresh rather than dried leaves, it will be an all-season herb. Culinary bay (Laurus nobilis) is often called bay laurel, sweet bay or Turkish bay. The botanical name is important for this herb as there is another, California bay (Umbellularia californica), that is often found as “bay”. The flavor of the California bay is more medicinal with a strong camphor smell that is much different from the complex flavors of true bay laurel. There is a whole new experience waiting when you use fresh bay laurel leaves in cooking. This herb is “picky” to grow, but well worth the effort. To grow bay laurel, you will need to buy a plant from a reputable source so that you can be sure that you are getting Laurus nobilis since the California bay lacks the “sweetness” of true bay. True bay is more expensive than most herbs because it’s difficult to propagate and is slow-growing. You’ll likely (depending on climate where you live) want to grow your bay in a container in order to move it inside in the wintertime, at least until it is about 24 inches tall when the stems will be somewhat woody and better able to withstand cold. Bay needs sun, but too intense sunlight will burn the leaves–so having it in a pot will let you move it around and discover the best site for it. It also needs fertile soil, evenly moist but well-drained. It should never be allowed to dry out completely or it’s likely to die. This is an herb that will need a container all to itself. If you need to bring it indoors to winter over, you’ll need to put it where there is plenty of light and where it is well ventilated–best in a cooler area. While indoors bay is susceptible to some pests like mealy bugs, scale, and aphids so you must watch it closely. If there is a summer herb, as dried bay might be considered a winter herb, it is most likely basil (Ocimum basilicum), especially the sweet, large-leaf, Italian basil. Say tomato, and I’m sure a lot of “foodies” would immediately say basil. It is a tender annual that will not winter over–so it’s a spring event when you can plant basil and anxiously await that first harvest. I suspect that basil would be at the top of a list of herbs grown by home gardeners–especially as it is so strongly associated with tomatoes. There are many varieties of basil (purple, Thai, holy, cinnamon, lemon, and lime, globe for just a few) but we’ll start with the most common: sweet or Genovase basil. To grow basil, you can start with seed or buy plants. It is a heat-loving herb so you need to wait for warm weather to plant it outdoors (generally night-time temperatures need to stay above 50 ° F). You can get a head start if you plant seeds indoors. 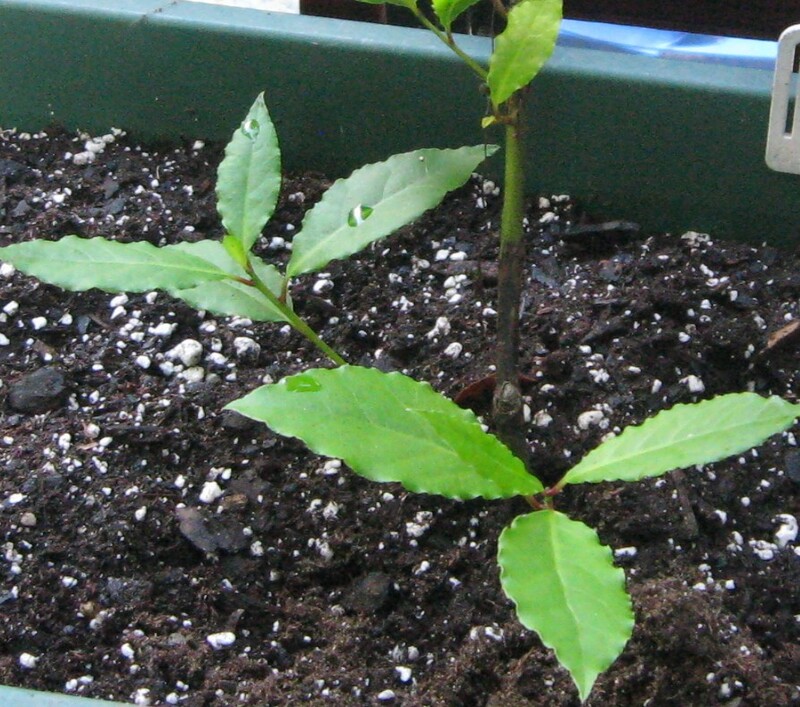 Once the weather is warm, you can gradually get your plants used to the outdoors, and finally plant them out. For your first time of growing basil, you should probably just buy plants. Even so, if you plant your basil outdoors while the temperatures are too cool, you’re likely to have stunted plants that will never do really well. Basil can be grown in the vegetable garden, herb garden, or in containers. It needs average soil (so it will do well in that potting soil that you got from the garden center) but needs plenty of water (even moisture, not allowed to dry out between waterings) but must be well-drained. 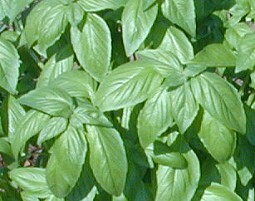 It needs lots of sun, but it does not like the drier, poorer soil conditions that some of the Mediterranean herbs will tolerate; however, basil will not do well in soil that is too rich either (don’t fertilize too much)–that will make it less fragrant since it will contain less of the essential oils. This means that you should not plant basil in the same container as other Mediterranean herbs like sage. As you start your basil plants, you want to pinch the growing tips so that the plants will branch sideways and be full and bushy. Basil flowers readily, but after flowering the flavor declines so be rigorous in pinching the flowering tips. There is one serious fungus disease (fusarium wilt) that can affect basil–it turns the leaves black and will kill plants in a short time. This is a disease that is carried by seeds–so if you are starting your basil from seed, buy seeds that have been tested and are known to be disease free. Should you get this disease in your plants, the only thing you can do is (literally) trash them–don’t throw the diseased plants in the compost or that will be contaminated too, and the disease can be transmitted to tomatoes and basil plants on which that compost is used. There are many types of oregano which vary markedly in the intensity of flavor. Likely the one most commonly found in the supermarket or in the garden center is common or wild oregano (Origanum vulgare subsp. vulgare). 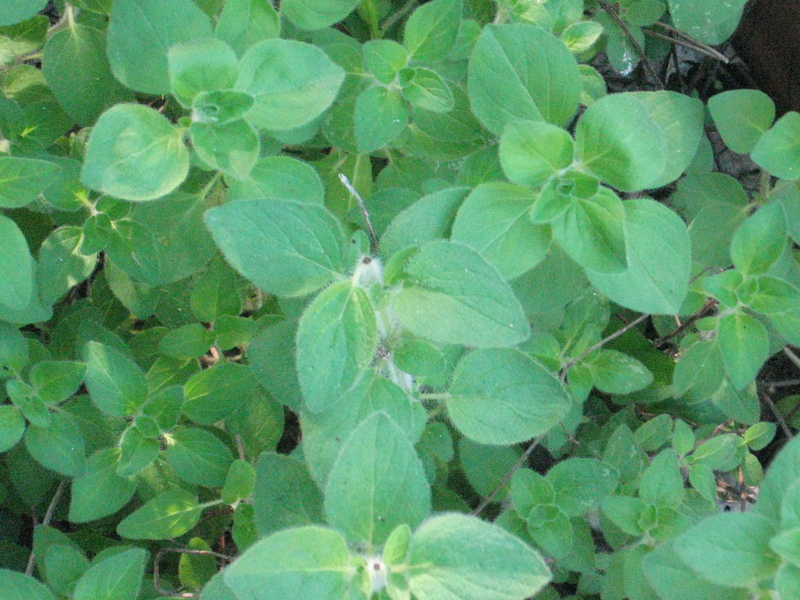 I like to grow the true Greek oregano (subspecies hirtum) for my use as it is very spicy and has an intense flavor. It is a less vigorous growing plant than the common, but still easy to grow. While you can start oregano from seed, it takes a long time to germinate and is slow-growing so unless you have lots of patience, buy a plant to start your herb garden. The best way to tell what you’re getting it to smell and/or taste a leaf from the plant that you’re going to buy. If you have never tasted Greek oregano, you are in for a wonderful treat–it’s much more flavorful and more peppery than the common oregano (which is what is most likely in those supermarket packs and in the garden center). The two basics for growing oregano are sun and well-drained soil; given these it is a vigorous grower. It is a perennial so once you get it started, it will stay with you for quite some time and generally be quite carefree to grow. As with most herbs, it benefits from being used frequently or having the growing tips pinched occasionally to encourage it to branch and be a bushy, rather than a leggy, lanky plant. A word of warning: if you are also growing common oregano (see also Marjoram), don’t put it near your other species of oregano–it spreads by underground off-shoots (stolons) and by seeding itself, and it can (and likely will) replace your prized Greek (or other) oregano. You might plant your Greek oregano in a container with sage, but not with other species of oregano or with marjoram. These three herbs would have to be part of absolute bare necessities, along with parsley, sage, thyme, and rosemary, for my cooking. The longer I cook, the more herbs I want to have available for spontaneous use: I’ve added tarragon, epazote and shiso (perilla), and lavender to what I’ve come to consider the “necessities”. Every growing season is likely to find me adding another herb–this year it’s lime basil. I’m waiting rather impatiently for the plant to be large enough to harvest some leaves and do something more than nibble on a leaf and contemplate where I’ll use it! Extremely heplufl article, please write more. It’s WordPress…It’s just one of their free themes.